Credits: Design and fabrication: LG Collection. 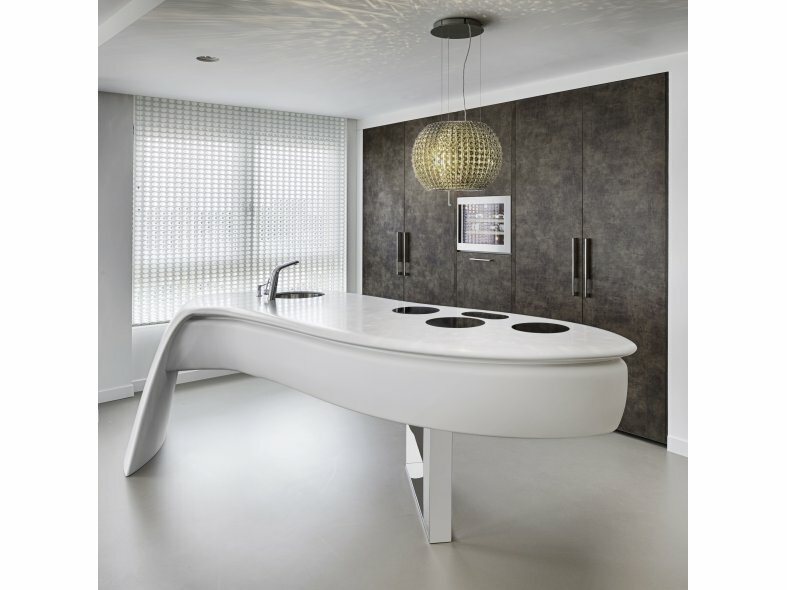 HI-MACS® is a highly technical composition of acrylic, natural minerals and pigments that come together to provide a smooth, non-porous and visually seamless surface which meets the highest standards for all aspects that make a kitchen a great kitchen: aesthetics, functionality and hygiene. HI-MACS® allows for visually seamless processing. 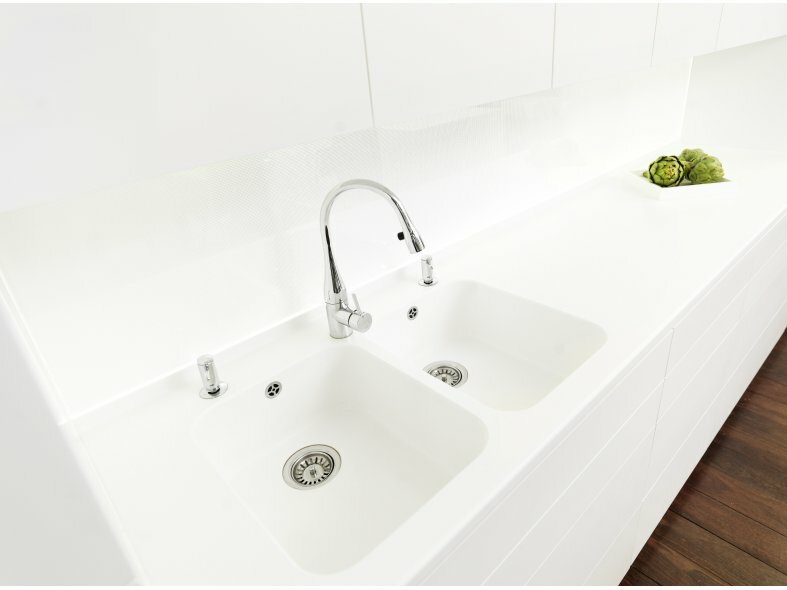 This smooth integration enables you to create large areas without joints as well as flush mounting of sinks. The fabrication and its non-porous nature make the material extremely hygienic, easy-to-clean: ideally suited for kitchens. HI-MACS® offers a virtually limitless range of colours in a large variety of shades. HI-MACS® remains 100% homogeneous regardless of what colour is selected. This is what counts for a strong performance in your kitchen. 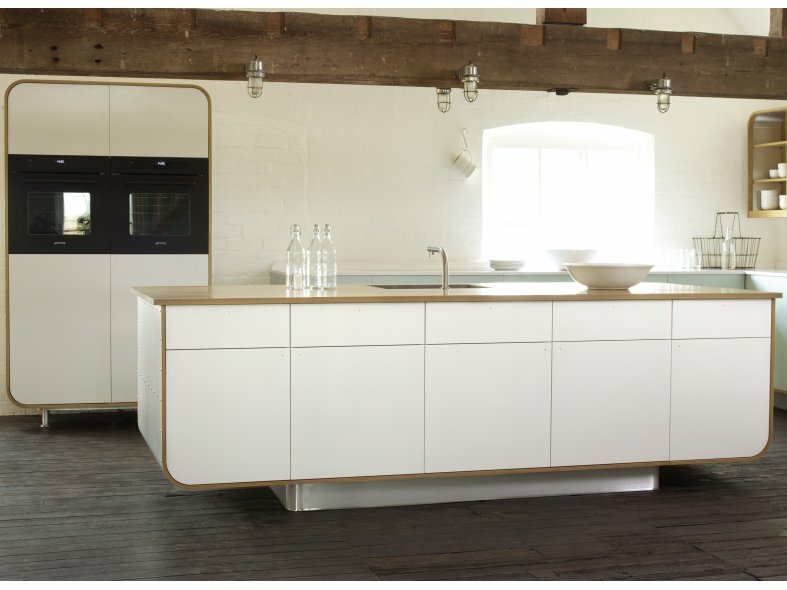 Ever dreamt of a circular kitchen island with large radii or a worktop that smoothly merges with the wall cladding? 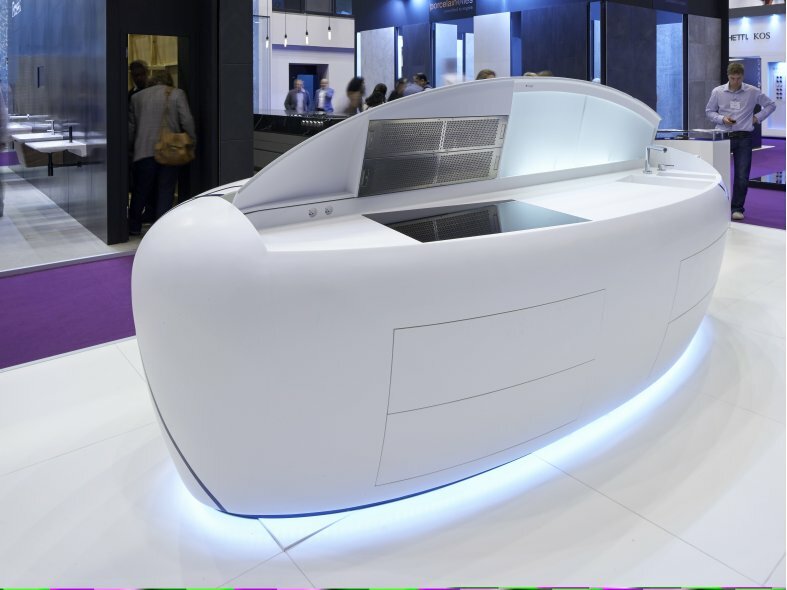 Due to its ingenious composition HI-MACS® can be shaped into any three-dimensional design by a high-class thermoforming technology. Thanks to its non-porous, dirt repellent surface, HI-MACS® is ideal for working with food and even common chemicals cannot harm the material. You can simply clean it with soapy water or a domestic all-purpose cleaner. This is why HI-MACS® is offered with the unique 15 years warranty when fabricated by a Quality Club Member.